HAM Group, paunches the first LNG station in Slovenia, in Ljubljana. The LNG mobile station is part of the cHAMeleon project, funded by the European Commission, through the Executive Agency for Innovation and Networks (INEA), to boost the implementation of the LNG refuelling infrastructure network in the European Union and promote the growth of the LNG market in the road transport sector. 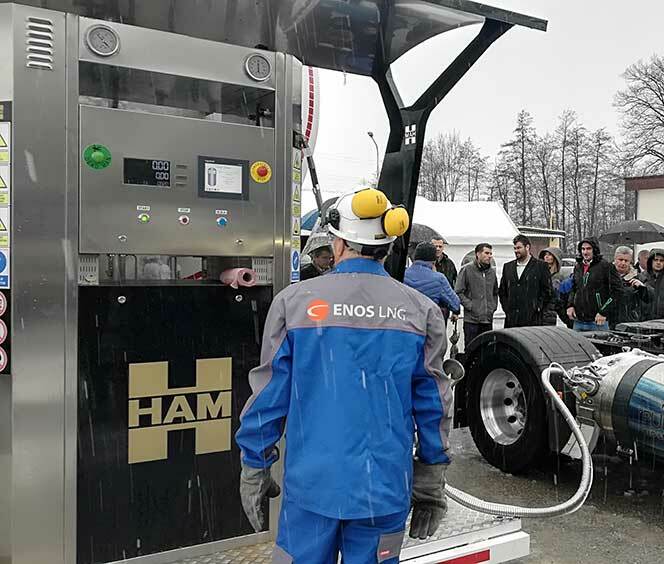 This station has also the suport of ENOSLNG, a Slovenian partner responsible for the development of the LNG market in the region, contributing to the start-up of the first LNG refuelling station in Slovenia, and thus to an alternative cleaning solution for road transport. In addition, this project helps the city’s aim to improve air quality and become one of the greenest capitals in Europe. The station is located in Ljubljana, he Slovenian capital, at the junction of two major European freight corridors. 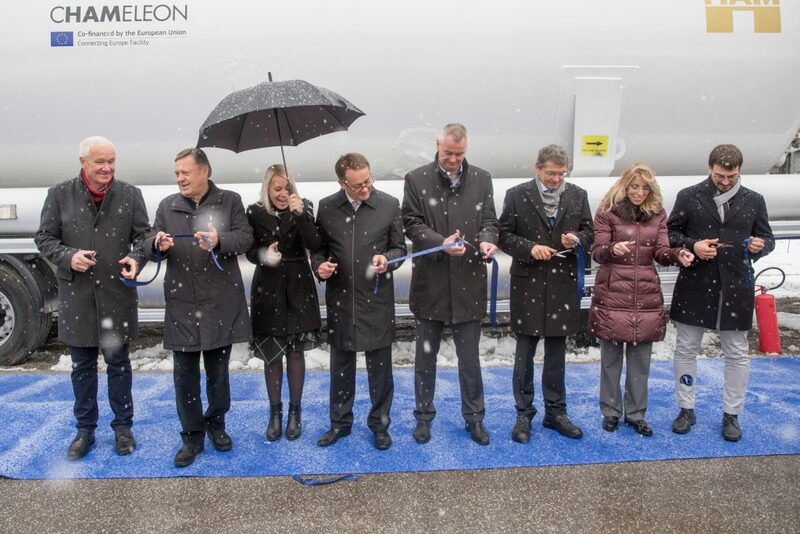 Zoran Janković, Mayor of Ljubljana, Sofia Papantoniadou, representative of INEA (Innovation and Networks Executive Agency), Klemen Potisek, Secretary of the Ministry of Infrastructure, ENOSLNG and ENERGETIKA representatives, HAM engineers and managers were present at the inauguration of the LNGmobile station.